Bhai Mani Singh was a great Sikh personality of eighteenth century and occupies a very esteemed position in Sikh history. He assumed the control and steered the course of the Sikh destiny at a very critical stage in their history. A great scholar, a devoted Sikh and a courageous leader, Bhai Sahib willingly laid down his own life to uphold the dignity of the Sikh nation and religion. Bhai Mani Singh is a Martyr par excellence in Sikh history and his name has become an integral part of daily Sikh Ardas (prayer).
. According to Giani Garja Singh, no person by the name Mani Singh has ever been in the ancestral line of Giani Gian Singh . Since Bhai Kesar Singh Chhibber, a contemporary of Bhai Mani Singh , claims to have personally met and seen the latter several times during his early age , he therefore, is a very reliable eyewitness on Bhai Mani Singh's family particulars. Moreover, being a non-Kamboj himself, Bhai Chhibber can be assumed to be absolutely non-committed with regard to his write-up on Bhai Mani Singh's ethnic background. In contrast, Giani Gian Singh ji Dullat is far removed in time by over a century and half from Bhai Sahib ji. And he has also an understandable motivation for investing Bhai Mani Singh ji with a Dullat Jatt lineage and thus connecting him with his own (Dullat) family to claim credit and honor for his family. Hence, his claim or evidence on Bhai Mani Singh's ethnicity |ethnic identity apparently becomes much weaker and dubious as compared to the evidence of a non-committed eyewitness like Bhai Kesar Singh ji Chhibber. Koir Singh Kalal, another contemporary of Bhai Mani Singh, also lends support to Bhai Kesar Singh Chhibber's evidence on the Kamboj lineage of Bhai Mani Singh . , Kavi Sewa Singh Bhat has wrongly transmuted Bhai Mani Ram Dewan (Rajput) into Dharama Acharya, Bhai Mani Singh Shaheed . Dr G. S. Nayer, Member Editorial Board, Punjabi University Patiala, also asserts that there is no real reason to reject the evidence of Bhai Kesar Singh Chhibber on Bhai Mani Singh as coming of Kamboj lineage . Prof Gurmukh Singh Waraich of Patiala University has also rejected Garja Singh's unattested and uncritiqued referential sources about Bhai Mani Singh Shaheed as being unscientific. In his research article on the identity of Bhai Mani Singh, prof Waraich asserts that Bhai Mani Singh Shaheed belonged to the Kamboj lineage . According to Sher Singh Sher (a Non Kamboj scholar), Bhai Mani Singh Shaheed was a paternal nephew (i.e Bhateeja) of Bhai Dayala Ji and belonged to the Kamboh |Kambo caste. According to Karam Singh historian, in the wake of Anandpore disaster when Bhai Mani Singh had escorted the wives (Mehils) of Tenth Guru ji to Delhi, they were also accompanied by some devoted Kamboh families who had been in the service of Gurughar. It appears highly likely that these families originally belonged to Kambohwal and had moved to Anandpur in the shelter of Gurughar and had permanently stayed there in the service of ninth Guru ji. 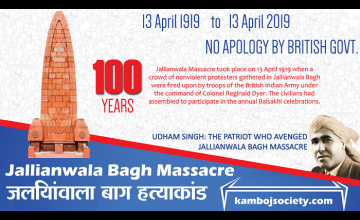 Bhai Dayala Ji |Bhai Dayala ji and Bhai Mani Singh, to all probability, belonged to these devoted families of the Kamboh lineage. Karam Singh Historian had recommended further research on these Kamboj families. There is some uncertainity about the exact year of birth of Bhai Mani Singh. Giani Thakur Singh writes his year of birth as 1672 AD while some other writers put it at 1670 AD. But according to Sohan Singh Seetal, a well known Sikh historian, Bhai Mani Singh was born in 1664 AD. Principle Satbir Singh wrote the year of birth as 1672 in his 1970 edition but changed it to 1662 AD in the later editions of "Sada Itihaas" (See: Sada Itihaas, 1998, p 154, Principle Satbir Singh). According to Dr Santokh Singh also, Bhai Mani Singh was born in 1662 AD (The Guru's Word). These earlier dates are indirectly based on Giani Giani Singh's references to ninth Guru's visit to village Akoi/Malwa in year 1665 AD. Based on critical analysis of ancient Sikh writings, it appears certain that Bhai Mani Singh was born no later than 1665 AD, hence years given by Giani Sohan Singh Seetal or Principal Satbir Singh/Dr Santokh Singh etc appear more closer to truth. According to Shaheed Bilaas edited and published by Giani Garja Singh ji in 1961, the birth date of Bhai Mani Ram (alias Bhai Mani Singh Rajput) of Alipore, Multan is 1644 AD. Bhai Mani Singh is said to have been brought in the early years of his childhood to the presence of Guru Tegh Bahadur at Anandpur. He was approximately of the same age as the Guru's own son, Gobind Rai. Both grew up together - Gobind Rai [Das] and Mani Ram were the names they went by in those pre-Khalsa days. Mani Singh remained in his company even after he had ascended the religious seat as Guru. Mani Singh accompanied the Guru to the seclusion of Paonta where Guru Gobind Singh spent some three years exclusively given to literary work. Bhai Ji was asked to stay back with Gobind Rai when Guru Teg Bahadur Sahib proceeded to Delhi to save the Hindus from being forcibly converted to Islam. Bhai Ji became a great soldier while serving the Tenth Guru, Guru Gobind Singh. He accompanied Guru Ji when the Guru visited Nahan, at the invitation of Hill Chief Raja Medni Prakash. Bhai Ji fought bravely in battle of Bhangani in the year 1688 A.D., when Hill Chiefs mounted a combined attack on Guru Gobind Singh. Bhai Hari Chand, one of the brothers of Mani Singh attained martyrdom in this battle. Bhai Mani Singh was named Dewan of Guru's court after the battle of Nadaun in which he showed his quality of a fearless and brave warrior. Bhai Mani Singh took Amrit at the hands of Guru Gobind Singh Ji on the day of the creation of Khalsa (Baisakhi in 1699 A.D). After taking amrit paan, his name was changed from Manik Dass to Mani Singh. When Guru Gobind Singh Ji left Anandpur on the night of December 20, 1704, his family got separated at river Sirsa in the confusion created by the Mughal attack. Bhai Mani Singh took Mata Sundri Ji and Mata Sahib Devan to Delhi via Ambala. In 1706, Bhai Mani Singh escorted Guru Sahib's wives to Talwandi Sabo where the Guru was staying. At Damdama Sahib (Sabo Ki Talwandi), Bhai Mani Singh wrote Demdami copy of Adi Guru Granth Sahib (in its present form) under instructions from Sri Guru Gobind Singh Sahib. The same volume of Sri Guru Granth Sahib was later bestowed Guruship at Nanded by the Tenth master. When Guru Sahib left Agra with Emperor Bahadur Shah for Nander in 1707, Mata Sahib Devan and Bhai Mani Singh accompanied him. When Guru Gobind Singh proceeded to South India, Bhai Mani Singh escorted Mata Sahib Devan Ji back to Delhi where she lived with Mata Sundri Ji for the rest of her life. After Baba Banda Singh Bahadur attained martyrdom in Delhi, some among the Sikhs started worshipping him as a Guru which was against the orders of Guru Gobind Singh, who had bestowed Guruship on Sri Guru Granth Sahib. They even changed the Sikh salutation to Fateh Darshan from "Waheguru Ji Ka Khalsa, Waheguru Ji Ki Fateh." His followers, led by Bhai Mahant Singh Khemkaran, proceeded to wards Amritsar to forcibly take over the management of Harmandir Sahib. On the other hand, staunch followers of Sikh tenets, as specified by Guru Gobind Singh led by Baba Kahan Singh, son of Baba Binod Singh (an advisor of Baba Banda Singh appointed by Guru Gobind Singh) had in advance obtained permission from Mughal Rulers for holding a special congregation at Harmandir Sahib on the occassion of Diwali. Sikhs of both sides came in large numbers to Harmandir Sahib, Amritsar to claim the right of its management and were prepared to fight it out, but somehow on the intervention of some wise counsels, the occasion passed off peacefully although the government of the time wanted blood shed between the two Sikh groups to take place. However, these danger signals prompted some well meaning Sikhs to approach Mata Sunder Kaur Ji at Delhi to resolve the dispute between Tat Khalsa and Bandai Khalsa military factions of the Sikhs. Mata Sunder Kaur despatched Bhai Mani Singh for the purpose of appointing him Granthi of Harmandir Sahib for proper management of the Shrine and sent him to Amritsar with Mama Kirpal Singh (Chand), the maternal uncle of Guru Gobind Singh Ji. After analysing reasons for the dispute, Bhai Mani Singh invited Sikhs of at shades of opinion of Khalsa, gathered on the occassion of birth of the Khalsa on Baisakhi Day. While Baba Kahan Singh, Jathedar of Tat Khalsa captured, Akal Bunga, Bhai Mahant Singh of Bandai Khalsa captured. Jhanda Bunga in the premises of Harmandir Sahib. So much so that Bhai Mahant Singh went to the extent of coming right upto the entry point to Harmandir Sahib riding a chariot sitting on cushions. In 1721, Bhai Mani Singh intervened and suggested a novel method for settling the dispute to which both sides agreed. On the Baisakhi day Bhai Mani Singh took two pieces of plain paper. He wrote “Waheguru Ji Ki Fateh” on one and “Fateh Darshan” on the other. Folding these papers separately, he dropped both these papers in the sacred sarovar (Water Pool) of Harmandir Sahib. It was agreed by the two parties that the party whose folded paper floated back first would manage the shrine. For a while the both papers remained under water. Later one of these surfaced. The same was taken out and read by Bhai Mani Singh. It was revealed that the words “Waheguru Ji Ki Fateh” representing Tat Khalsa were written on this. Thus, Tat Khalsa won the right to manage Harmandir Sahib and bloodshed was avoided among Sikhs. Thus dispute was peacefully settled and he restored peace among the Khalsa and put the affairs of Harimandir Sahib in order. Thereafter, Bhai Mani Singh decided and announced that Sikhs gather at Harmandir Sahib twice a year on the occassion of Baisakhi and Diwali. In 1735 A.D., Zakria Khan, the Governor of Lahore, ordered village headmen and landlords to finish Sikhs of their areas. He also appointed Diwan Lakhpat Rai, an enemy of the Sikhs, the administrator of Amfitsar and Qazi Abdul Razak as the police chief. One day the Governor asked them, 'What is the reason that no matter what the number of Sikhs we kill more are created ?" The Qazi replied, "Their Guru had put the elixir of life in the pool at Harmandir Sahib. Whosoever bathes in that pool, gains eternal life." Hearing this, the Governor ordered the filling up of the pool with sand and turned Bhai Mani Singh out from the service of Harmandir Sahib. Having been turned out from Harmandir Sahib, Bhai Mani Singh took up residence at the Sultan Wind's well. one evening Qazi Abdul Razak came to Bhai Mani Singh and said, "My children are very ill. Medicines of local physicians and doctors are having no effect. Children wake up with nightmares." Bhai Mani Singh went with him to his house. He sprinkled water from the pool of Harmandir Sahib over the children and said to them, "Be not afraid during the night." As the Lord would have it, the children stopped having nightmares. Qazi Abdul Razak stopped silting up the pool. By 1737, the Mughal government of Lahore had strictly prohibited the Sikhs to visit Amritsar and bathe in the holy tank. To overcome this restriction, Bhai Mani Singh applied to Governor Zakaria Khan for permission to hold the Diwali festival at Harimandir Sahib. With the help of the Qazi Abdul Razak, Bhai Mani Singh got permission from the Governor to allow Sikhs to have free access to Harmandir Sahib for ten days on the occasion of Diwali. The permission was granted for a tribute of Rs.5,000. He hoped that he would be able to pay the sum out of the offerings to be made by the Sikhs who were invited to come. He wanted the Sikhs to gather in large numbers to plan their future strategy and to devise ways for infusing hish spirits and unity among Sikhs. Zakaria Khan had wicked intentions while granting permission for the celebration. He had planned to encircle, attack and kill large number of unsuspecting Sikhs when they were absorbed in celebrations. Zakariya Khan, under the pretext of keeping order, mobilized and deployed large contingents of army units around Amritsar under the command of Dewan Lakhpat Rai. It was to march towards the city just on the day of the festival so that the Sikhs might be frightened and dispersed. Sensing foul intentions of rulers, Bhai Mani Singh sent out messengers to all concerned informing Sikhs of the impending danger and requesting them not to come to Amritsar on the occasion of Diwali. Inspite of warnings sent out by Bhai Mani Singh, a fairly large number of Sikhs arrived at Hanmandir Sahib. Lakhpat Rai mounted a surprise attack and killed a large number of Sikhs while they were bathing in the sacred sarover. Bhai Mani Singh sent a note of protest against this unproved killing of Sikhs to Zakaria Khan. Bhai Mani Singh was arrested for not paying the stipulated sum. He was asked by the Qazi to embrace Islam or else face death. Bhai Mani Singh stoutly refused to barter his religion and boldly opted for death. By orders of Zakarya Khan, Bhai Mani Singh was executed at Nakhas, Lahore in December, 1737 AD. The Nakhas has ever since been known as Shaheed Ganj - the place of martyrdom. This was a gruesome execution in which Bhai Mani Singh's body was chopped to pieces joint by joint starting from the extremities interior-wards. The Martyrdom greatly inflamed the passions of the Sikhs. They pledged to uproot the evil forces of the Mughals sooner than later. Bhai Mani Singh acted as scribe when Guru Gobind Singh Ji compiled Sri Guru Granth Sahib from his sacred tongue. Bhai Sahib is also stated to have transcribed many copies of the sacred Sikh scriptures which were sent to different preaching centers in India. 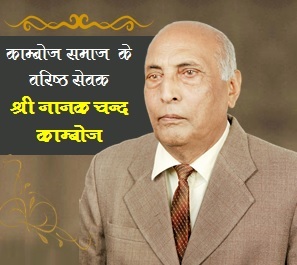 He also taught the reading of Gurbani and its philosophy to the Sikhs. Bhai Sahib was responsible for collecting the Bani (holi writings) of Guru Gobind Singh Ji and compiling it in the form of Dasam Granth. Besides this, Bhai Sahib also authored several invaluable books like Japji Sahib Da Garb Ganjni Teeka (teeka means translation and explanation of a work), Janam Sakhi Guru Nanak Dev ji, Sikhan Di Bhagatmala etc. He also prepared a new version of Sri Guru Granth Sahib in which he took out Guru-bani from the Ragas and rearranged/systematised it for each Guru separately for the convenience of Sikh Sangat. He did a similar thing with the Bhagat-bani also. It is stated that the segregation of Bani thus was disapproved by the Sikh-Sagat in general and Bhai Sahib was reprimanded for the sacrilege accordingly.
. Bhai Rattan Singh Bhangu further attests that Bhai Mani Singh was ''Pujarion sir baddo pujaree''  i.e ''"a foremost worshipper (at Harimandir)"'', which evidence pre-eminently projects the scholarly side of Bhai Mani Singh's personality. But compared to this, Bhai Mani Ram Dewan (Rajput) of Giani Garja Singh's ''"Bhat & Panda Vahis"'' was married twice, is stated to have fathered ten sons and was more of a warrior bent of mind than scholar. How can a married man and a father of ten sons be called a celebate? This evidence proves that Grihasthi: ''Bhai Mani Ram Dewan'' (Rajput) of Alipore, Multan, was not the same as the ''Jati-Sati'' (i.e. celebate) ''Dharam-Acharya: Bhai Mani Singh Shaheed''. On carefully reading the Bansawalinama, it becomes known that Bhai Kesar Singh Chibber was born in 1699. This is because Chhibber himself attests that at the time of writing of Bansawalinama, he was of 70 years old. e.g Sattar baras sodh main keeti, taan ih katha sunai: (Bansawalinama Charan 14, verse 625). It is notable that the Bansawalinma was written in 1769 AD. Bhai Mani Singh assumed control of Harimandir as its Granthi in 1721 and stayed in that capacity till his martyrdom in 1737. Bhai Kesar Singh Chhibber's own father Bhai Gurbaksh Singh was working as Daroga of Harimandir Sahib and Bhai Kesar Singh Chhibber was also staying with him at Amritsar. Therefore, Bhai Kesar Singh Chhibber who lived close to Bhai Mani Singh after his appointment as Granthi of Harimandir in 1621 AD, must have naturally become very familiar with Bhai Mani Singh. Bhai Kesar Singh Chhibber was, therefore, in very good position to collect information and make correct judgement about Bhai Mani Singh and his ethnic particulars. He, therefore, correctly and unambiguously states that Bhai Mani Singh Sahib belonged to Kamboj lineage (e.g: Ih Granth Avtar Lila da jo hai se, Bhai Mani Singh Musadee, jaati (caste) Kamboh horan tyaar karvayaa; OR: Tab Bhai Mani Singh jaati (caste) Kamboh kahiye, so aan miley jin ke sam Sikh koi aisa Guru ka nahiye etc etc : see Charan 10th, Bansawlinama, Bhai Kesar Singh Chhibber ) and also expressly states that Bhai Sahib ji was martyred by being chopped piece by piece (See: Bansawlinama Charan 10). 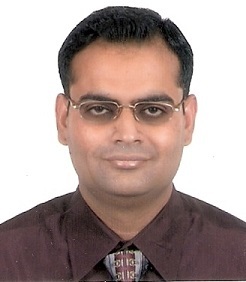 Koir Singh Gurbilaas, Patsahi 10, (Ed) Shamsher Singh Ashok, Punjabi University Patiala, 1986, p 294-295. See Verses 204-209; Shaheed Bhai Mani Singh, 2004, pp 91-94, Kirpal Singh (a research book), The Kambojas through the Ages, 2005, p pp 265-66. Ancient Sikh tradition, deeply ingrained in the mind of Sikhs, however tell us that Tenth Guru ji and Bhai Mani Singh were approximately of the same age and were Bal-sakhas or childhood friends. This is also confirmed by Giani Gian Singh (e.g: Mania maat-pita kai sangai | Gayo huto guru paas nisangai || balk kai sang balak thaaso | ketak din Anandpur baaso || sahibjade sangai khelat | rehat ren-din Anand jhelat ||: Panth Parkash, Bhasha Vibhag, 1987, p 676). This tradition clearly teaches us that Bhai Mani Singh Rajput (birth 1644) was over 22 years older than Guru Gobind Singh ji (birth 1666 AD) and thus can not be said to be a balsakha or childhood friend of the latter. op cit., p 95-96), Dr Harbans Singh; Shaheed Bhai Mani Singh (a reserch book), 2004, pp 37-98, S Kirpal Singh. Identity of Bhai Mani Singh, Article, Published in Punjab History Conference, Twenty Second Session, March 25-27, 1988, part I, Proceedings, Punjabi University Patiala, 1989, pp 80-81; Kambojas Through the Ages, 2005, p 248-267; Bhai Mani Singh Shaheed, 2004, Kirpal Singh. Glimpses of Sikhism and the Sikhs, 1982, p 207, Sher Singh Sher. Mani Singh jo sant mahaan, Jati-Sati aur Gyani maan. Hathi tapi aur mat ko puro, sahansheel aur dil ko suro(See: Prachin Panth Parkash, 1998, p 222, Rattan Singh Bhangu). Shaheed Bilaas of Giani Garja Singh (1961) states that Bhai Mani Singh (Rajput) was arrested after Diwali of 1733 AD and was executed on June 14, 1734 AD i.e about 8 months after his arrest following Dewali (See: Shaheed Bilaas, Bhai Mani Singh, 1961, p 93, Editor Giani Garja Singh) whereas all other ancient sources and oral Sikh traditions assert that Bhai Mani Singh was martyred shortly after his arrest following Dewali---hence his Martyrdom is said to have occured in the month of November or December according to other ancient sources. It must be remembered that the Mughal rulers of Punjab were noted for their quick executions of the Sikhs. It is highly improbable that they could ever have waited for eight months to execute Bhai Mani Singh after he was formally arrested and charged shortly following the Dewali. This does not make sense at all. This is another point in Shaheed Bilaas of Giani Garja Singh which conflicts with the traditionally accepted ancient Sikh sources. To all probability, Bhai Mani Ram alias Bhai Mani Singh Rajput of Alipore (born 1644) had died naturally of old age on June 14, 1734. He was already over 90 years on that date. His death was later confused with that of actual Bhai Mani Singh Shaheed by Kavi Sewa Singh Bhat simply to please his Patron, Bhai Sangat Singh, the great grand son of Bhai Mani Ram Rajput (See: The Encylopedia of Sikhism, Vol IV, 1998, p 95-96, (Ed) Dr Harbans Singh; Shaheed Bhai Mani Singh (a reserch book), 2004, pp 37-98, S Kirpal Singh). Shaheed Bilaas, Bhai Mani Singh, 1961, p 93, (Ed) Giani Garja Singh. Ancient Bansawalinama, Charan 10, 13, 14, Bhai Kesar Singh ji Chhibber. Panth Parkash, Giani Gian Singh ji. Prachin Panth Parkash, (ed) Bhai Vir Singh, New Delhi Edition, p 222-223, Rattan Singh Bhangu. Encylopedia of Sikhism, Prof Harbans Singh. Encyclopaedia of Sikh Literature, Mahan Kosh, 1974, foot note, p 951. Gurmat Sudhakar, Bhasha Vibhag, 1970, p 221, Bhai Kahn Singh Nabha. Sri Guru Gobind Singh ji di Shabad Murti, p 38, Bhar Randhir Singh ji. Bhai Mani Singh Shaheed and his Caste, Kamboj Chetna Manch 1993, p 86, Dr Parkash Singh. Sidki Jeewan, Mani Singh Shaheed Da Jeewan Britaant, 1907, Giani Thakur Singh. Jeewan Sandesh, (Itihaas Number), Giani Gurdit Singh ji. Bhai Mani Singh, Bhasha Vibhag, 1961, p 85, Dr S. S. Kohli. Sri Guru Gobind Singh ji de Darbari Rattan, 1994, p 251-252, Prof Piara Singh Padam. Glimpses of Sikhism and the Sikhs, 1982, Sher Singh Sher. 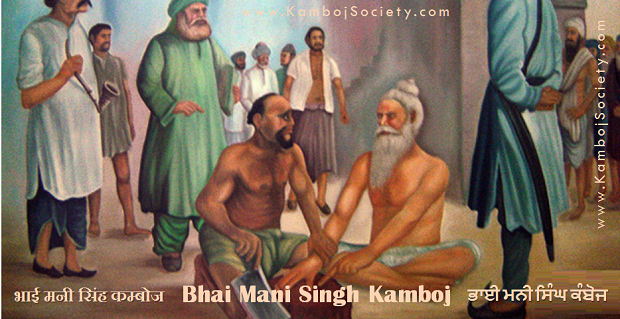 Kambojas Through the Ages, 2005, p 248-267; Bhai Mani Singh Shaheed, 2004, Kirpal Singh ji. Punjab History Conference, Twenty Second Session, March 25-27, 1988, part I, Proceedings, Punjabi University Patiala, 1989, p 80, Dr G. S. Nayer Member Editorial Board, Punjabi University Patiala. Identity of Bhai Mani Singh, Article, Published in Punjab History Conference, Twenty Second Session, March 25-27, 1988, part I, Proceedings, Punjabi University Patiala, 1989, p 80-81, Prof Gurmukh Singh. Bhai Mani Singh Shaheed, (a research book), January 2004, Jullundur, K. S. Dardi. These Kamboj People, 1979, K. S. Dardi.